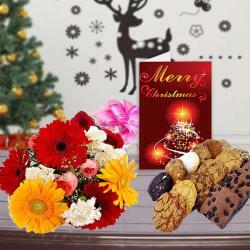 Product Consists : Bouquet of 12 Yellow Roses with some green filliers in a matching tissue wrapping, Assorted Cookies (Weight : 500 gms) in a Box along with Christmas Greeting Card. Unique way to delight anyone heart is to delight their taste buds. 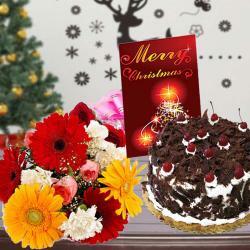 You can do this very easily with presenting your loved ones with a hamper that has taste and happiness both. 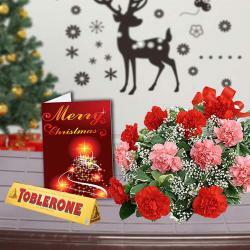 Have a look at the hamper that we have here comprising of a bunch of twelve yellow roses along with assorted cookies and Christmas greeting card. 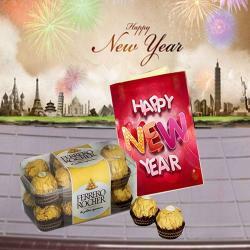 Cookies will tickle the taste buds with their wonderful taste while the greeting Card will help you speak your heart. 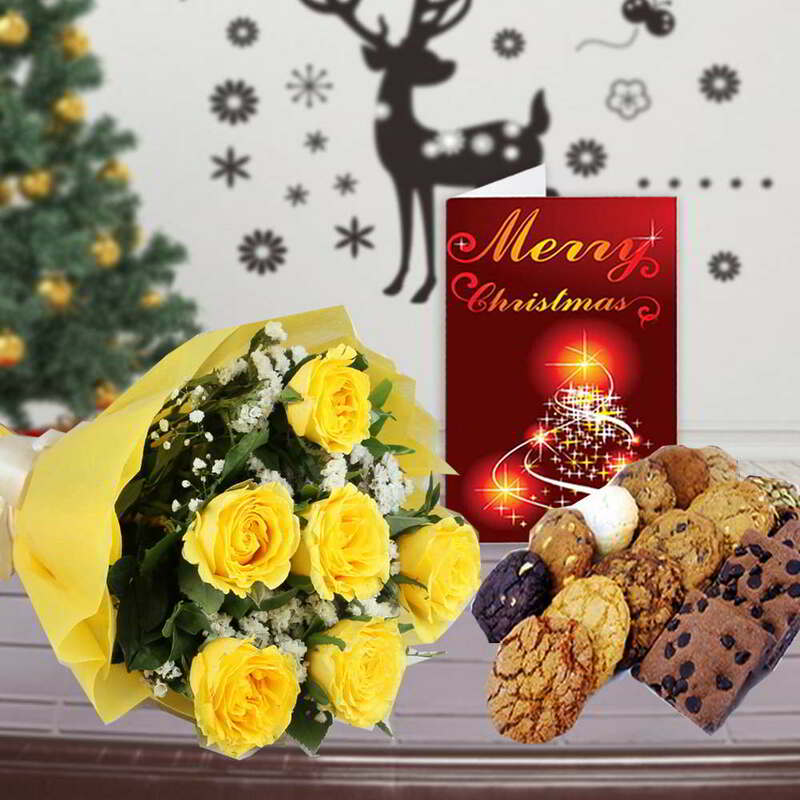 Product Consists : Bouquet of 12 Yellow Roses with some green filliers in a matching tissue wrapping, Assorted Cookies (Weight : 500 gms) in a Box along with Christmas Greeting Card.